3-Florence Mary Gould Appleby, known as Flo and the ninth child of Ellen and William, was born on 30 Jun 1880 in Exton, Tasmania, died on 5 Aug 1975 in Ulverstone, Tasmania at age 95, and was buried in Aug 1975 in Ulverstone Cemetery. Florence married Harold John Lee, son of Oxley Lee and Jane Harold, on 16 Nov 1899 in Ulverstone, Tasmania. Harold was born on 11 Aug 1869 in Deloraine, Tasmania, died on 1 Mar 1933 in Ulverstone, Tasmania at age 63, and was buried in Mar 1933 in Ulverstone Cemetery. Another name for Harold was Jack. Flo was born at Exton and attended school there for a short period of time only, receiving the greater part of her education at Ulverstone. In December 1899, Flo married Harrold John Lee (Jack) at Penguin. Jack was the son of Jane Lee (nee Harold) and the late Oxley Lee of Mole Creek and brother of George who had earlier married Alice, Flo's eldest sister. One could hardly say they were the good old days, when after their wedding they went to live on a property at South Preston, which was virgin bush. Their first abode was paling over logs between stumps and they lived there until Jack had enough palings split to build a two-roomed cottage, as there was only just enough land cleared for a place of that size. All one could see was stumps, logs, trees, kangaroos and wallabies. The water had to be carted in kerosene tins. Cooking was done over an open fireplace. After many years of hard work they cleared their land and had 200 odd acres of good arable land, milking cows, fattening cattle, and raising pigs, selling them as porkers, also growing peas and potatoes. Many of the fences were made of stones picked up from the area after the clearing was done. Flo and Jack had six children, five daughters and one son. Some years later the railway was built right through the centre of the property and made it extremely difficult when one needed to go to the lower part of the farm, also taking up several acres of valuable land. Jack passed away in 1933 at only 63 years of age and was buried at Ulverstone. During the First World War, Flo and other ladies of the district formed a Red Cross Group, making shirts, pyjamas and underclothes for the troops overseas. She also did great work supporting troops during the Second World War. Flo's cakes, pastries and bread won many prizes at country shows and she was often called upon to judge. Flo continued to run the farm with the help of family and friends until her son Kitch was married, when she retired to Ulverstone. An article written in the Advocate newspaper said, "The art of 'Growing old gracefully' is truly hers, for she is among the eternally young at heart. Her relatives and numerous descendants, also those who are privileged to count themselves among her friends respect and love her dearly. Always a flower lover, Mrs. Lee likes to potter about her garden which in summer is a delightful spot to see. There are little nooks and corners and unexpected touches here and there. Native boobyallas have been left standing by the stone wall from which a rustic gate opens right onto the beach. When Flo was around 90 years of age, she became a resident of the Leven Bank home for the aged at Ulverstone, residing there until just two months after her 95th birthday, when she passed away. Flo is buried with her husband in the Ulverstone cemetery. 4-Eleanor Jane Lee was born on 15 May 1900 and died on 4 Feb 1983 at age 82. Eleanor married Eric Thompson, son of Thomas Henry Thompson and Sarah Emily Harriet Lawler, on 9 Feb 1922 in Ulverstone, Tasmania. Eric was born on 2 Dec 1901 in Port Sorell. They had six children: Albert, Max, Valerie, Yvonne, Edward Roy and Rose June. 5-Albert Thompson was born on 12 Jul 1922 and died on 1 Oct 1982 at age 60. He served in the Second World War. Albert married Jean Elson. Jean was born on 3 Nov 1920. They had one son: Garry Wayne. 6-Garry Wayne Thompson was born on 31 Dec 1949. 5-Max Thompson was born on 1 Jun 1924. He served in the Second World War.Max married Merian McKay. Merian was born on 22 Jan 1933. They had one son: Peter Maxwell. 6-Peter Maxwell Thompson was born on 2 Sep 1968. 5-Valerie Thompson was born on 19 Feb 1931. Valerie married Lance McIntosh. Lance was born on 21 May 1939. They had three children: Debra Anne, Robyn Gail and James Andrew. 6-Debra Anne McIntosh was born on 4 Apr 1962. 6-Robyn Gail McIntosh was born on 2 Jan 1964. 6-James Andrew McIntosh was born on 19 Apr 1968. 5-Yvonne Thompson was born on 11 Oct 1933. Yvonne married Brian Wilson. Brian was born on 9 Jul 1931. They had three children: Gregory, Michelle and Mark. 6-Gregory Wilson was born on 27 Feb 1957. 6-Michelle Wilson was born on 31 Aug 1960. Michelle married Andrew Midgely. Andrew was born on 2 Sep 1959. They had one daughter: Ellenna Jane. 7-Ellenna Jane Midgely was born on 24 Nov 1986. 6-Mark Wilson was born on 13 Mar 1964. 5-Edward Roy Thompson was born on 11 Jul 1935. 5-Rose June Thompson was born on 19 Jul 1937. Rose married Raynor Barry Cook. Raynor was born on 18 Nov 1935. They had two children: Pat Lee and Jennifer Maree. 6-Pat Lee Cook was born on 31 May 1963. 6-Jennifer Maree Cook was born on 10 Nov 1965. 4-Gladys Dora Lee was born on 8 Aug 1901 in Preston, Tasmania and died on 5 Jul 1975 at age 73. Gladys married Wesley Sydney Cox, son of Arthur Sydney Cox and Mabel Alice Williams. Wesley was born on 3 Dec 1901 in Kindred and died on 22 Oct 1971 at age 69. 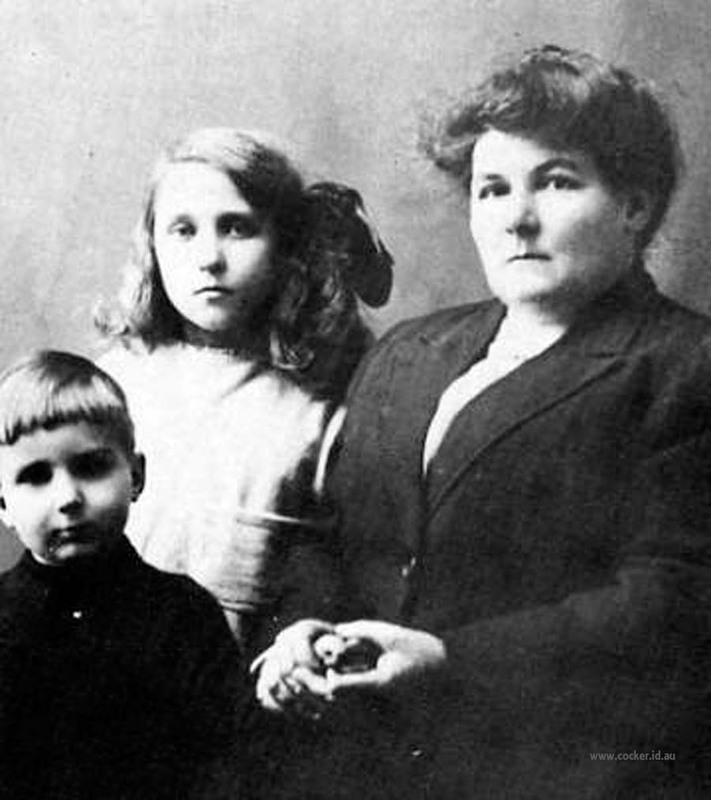 They had four children: Joyce, Dallas, Joan and Doreen. 5-Joyce Cox was born on 30 Nov 1924. Joyce married Alex Harper. Alex was born on 17 Apr 1920 and died on 12 Dec 1977 at age 57. They had five children: John, Peter, Michael, Wendy and Robin. 6-John Harper was born on 15 Sep 1945. John married Dorothy Bennett. Dorothy was born on 19 May 1946. They had one son: Christopher. 7-Christopher Harper was born on 15 Nov 1965. John next married Janice Carr. Janice was born on 14 Apr 1952. They had two children: Rachel and Fiona. 7-Rachel Harper was born on 21 Jul 1981. 7-Fiona Harper was born on 16 Jun 1983. 6-Peter Harper was born on 19 Dec 1947. Peter married Dianne Flint. Dianne was born on 22 Nov 1949. They had one son: Gregory. 7-Gregory Harper was born on 21 Jan 1967. Peter next married Maree Duprey. Maree was born on 5 Dec 1951. They had two children: Nadine and Trent. 7-Nadine Harper was born on 12 Jul 1978. 7-Trent Harper was born on 2 Sep 1980. 6-Michael Harper was born on 26 Jul 1949. 6-Wendy Harper was born on 15 Oct 1950. Wendy married Colin Dobson, son of Dudley Albert Dobson and Lorna Williams. Colin was born on 13 Feb 1948. They had two children: Scott and Amanda. 7-Scott Dobson was born on 5 Jun 1974. 7-Amanda Dobson was born on 3 Apr 1977. 6-Robin Harper was born on 10 Sep 1952. Robin married Judith Mahoney, daughter of Jack Mahoney and Mollie Gould Smith. Judith was born on 14 Jul 1953. They had three children: Melanie Jane, Timothy Lee and Daniel James. 7-Melanie Jane Harper was born on 25 May 1972. 7-Timothy Lee Harper was born on 6 May 1974. 7-Daniel James Harper was born on 11 Apr 1976. 5-Dallas Cox was born on 29 Dec 1926. Dallas married Dawn June Wicks. Dawn was born on 18 May 1930 and died on 3 Nov 1983 at age 53. They had three children: Jenny, Darrel and Susan. 6-Jenny Cox was born on 9 May 1951. Jenny married someone. She had one daughter: Nicky. 7-Nicky Cox was born in Apr 1976. 6-Darrel Cox was born on 15 Sep 1952. Darrel married someone. She had one daughter: Eloise. 7-Eloise Cox was born on 27 Mar 1976. 6-Susan Cox was born on 21 Jul 1955. Susan married someone. She had one daughter: Kellie. 7-Kellie Cox was born on 15 Sep 1973. 5-Joan Cox was born on 6 Mar 1928. Joan married Neil Coates, son of Arthur Lewis Coates and Winifred Ivy Smith. Neil was born on 30 Nov 1928 and died on 5 Mar 1988 at age 59. They had six children: Anthony, Sandra, Graham, Terry, Sally and Sharon. 6-Anthony Coates was born on 2 Dec 1952. Anthony married Jennifer Benge. Jennifer was born on 26 Jul 1954. They had two children: Becky Anne and Adam Benjamin. 7-Becky Anne Coates was born on 8 Dec 1983. 7-Adam Benjamin Coates was born on 17 Jan 1987. 6-Sandra Coates was born on 27 Dec 1953. Sandra married Michael Jeffrey. Michael was born on 27 Jan 1952. They had three children: Scott, Timothy and Andrew. 7-Scott Jeffrey was born on 2 Aug 1979. 7-Timothy Jeffrey was born on 18 Nov 1981. 7-Andrew Jeffrey was born on 22 Jul 1983. 6-Graham Coates was born on 25 Apr 1956. Graham married Dianne Ritter. Dianne was born on 28 Nov 1955. They had two children: Tina and Christian. 7-Tina Coates was born on 6 Apr 1979. 7-Christian Coates was born on 21 Jan 1982. 6-Terry Coates was born on 29 Aug 1960. Terry married Fiona Clarke. Fiona was born on 2 May 1963. They had one son: Steven Paul. 7-Steven Paul Coates was born on 14 Jan 1988. 6-Sally Coates was born on 16 Aug 1965. Sally married Andrew Foley. Andrew was born on 30 Jul 1964. 6-Sharon Coates was born on 14 Apr 1971. 5-Doreen Cox was born on 14 Nov 1931 and died on 4 Mar 1941 at age 9. 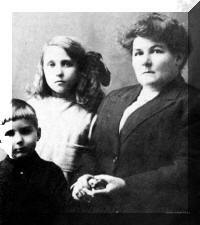 4-Henrietta Grace Lee was born on 20 Aug 1903 in Preston, Tasmania and died on 14 Nov 1973 at age 70. Henrietta married Mervyn John Smith, son of Henry Smith and Elizabeth Hudson, on 15 Oct 1924 in Ulverstone, Tasmania. Mervyn was born on 11 Dec 1895 in Ulverstone, Tasmania and died on 5 Oct 1975 at age 79. They had five children: Mollie Gould, Percy William, Mervyn Ian, Oxley Malcolm and Florence Grace. 5-Mollie Gould Smith was born on 28 Jul 1925. Mollie married Jack Mahoney. Jack was born on 29 Mar 1919. They had two children: Kevin and Judith. 6-Kevin Mahoney was born on 18 Mar 1948. Kevin married Helen Bond. Helen was born on 28 Nov 1950. They had three children: Brook, Kent John and Eve Elizabeth. 7-Brook Mahoney was born on 25 Nov 1978. 7-Kent John Mahoney was born on 27 Jul 1980. 7-Eve Elizabeth Mahoney was born on 16 Oct 1983. 6-Judith Mahoney was born on 14 Jul 1953. Judith married Robin Harper, son of Alex Harper and Joyce Cox. Robin was born on 10 Sep 1952. They had three children: Melanie Jane, Timothy Lee and Daniel James. 5-Percy William Smith was born on 9 Dec 1926. He served in the Second World War. Percy married June Amy Stubbs. June was born on 4 Jan 1931. They had ten children: Garry John, Maree Elizabeth, Rodney Mervyn, Shane Ian, Dean William, Leanne, Grant James, Amanda Helen, Anita Jane and Jason Peter. 6-Garry John Smith was born on 20 Sep 1949. Garry married Merrilyn Cecelia Green. Merrilyn was born on 6 Feb 1954. They had two children: Paul Glen and Kylie Jane. 7-Paul Glen Smith was born on 18 Apr 1972. 7-Kylie Jane Smith was born on 21 Jan 1974. 6-Maree Elizabeth Smith was born on 8 Aug 1950. Maree married Wayne Harcourt Dazeley. Wayne was born on 13 May 1949. They had two children: Jeremy Wayne and Janaha Maree. 7-Jeremy Wayne Dazeley was born on 11 Jun 1976. 7-Janaha Maree Dazeley was born on 3 Dec 1979. 6-Rodney Mervyn Smith was born on 25 Apr 1952. 6-Shane Ian Smith was born on 29 Aug 1953. Shane married Julie Edna Phillips. Julie was born on 22 Dec 1954. They had two children: Jamie Scott and Meegan Jayne. 7-Jamie Scott Smith was born on 21 Nov 1976. 7-Meegan Jayne Smith was born on 26 Sep 1979. 6-Dean William Smith was born on 21 Dec 1955. Dean married Leanne June Wright. Leanne was born on 14 Oct 1958. 6-Leanne Smith was born on 15 Sep 1956. Another name for Leanne is Arnold. Leanne married Phil John Wells. Phil was born on 17 May 1955. They had one son: Adye John. 7-Adye John Wells was born on 22 Aug 1986. Leanne next married Gregory John Arnold. Gregory was born on 28 Aug 1955. They had two children: Shannon and Bradley. 6-Grant James Smith was born on 24 Nov 1957. Grant married Sally Rose Bellchambers. Sally was born on 27 Aug 1960. 6-Amanda Helen Smith was born on 30 Sep 1959. Another name for Amanda is Amanda Smith. Amanda married Rodney Wayne Ray, son of Donald Rex Ray and Sheila Agnes Appleby. Rodney was born on 16 Sep 1956. Another name for Rodney is Rodney Wayne Ray. They had two children: Joshua Wayne and Adam John. 7-Joshua Wayne Ray was born on 9 Sep 1981. 7-Adam John Ray was born on 20 Aug 1986. 6-Anita Jane Smith was born on 20 Mar 1962. Anita married Paul Anthony Johnson. Paul was born on 23 Jul 1964. They had one son: Kallan Anthony. 7-Kallan Anthony Johnson was born on 2 Sep 1986. 6-Jason Peter Smith was born on 31 Oct 1970. Percy next married Lesley Morris. Lesley was born on 23 Oct 1939. 5-Mervyn Ian Smith was born on 14 May 1929. Mervyn married Kathy Lee. Kathy was born on 5 Nov 1934. They had two children: Wayne Mervyn and Gregory John. 6-Wayne Mervyn Smith was born on 26 Jan 1956. Wayne married Bronwyn Davison. Bronwyn was born on 10 Apr 1962. They had two children: Justin and Troy. 7-Justin Smith was born on 19 Oct 1978. 7-Troy Smith was born on 9 Sep 1982. 6-Gregory John Smith was born on 23 Feb 1959. Gregory married Cherylyn Ivy Good, daughter of Vivian Wilfred Good and Maisie Mary Carpenter. Cherylyn was born on 2 Feb 1961. They had three children: Natalie Emma, Melanie Jayne and Renee Louise. 7-Natalie Emma Smith was born on 1 Feb 1984 and died on 1 Feb 1984. 7-Melanie Jayne Smith was born on 14 Jan 1985. 7-Renee Louise Smith was born on 15 Jun 1987. 5-Oxley Malcolm Smith was born on 30 Jan 1935 and died on 22 Jan 1975 at age 39. 5-Florence Grace Smith was born on 15 Mar 1938. Florence married Kevin Baldock. Kevin was born on 3 Jul 1936. They had three children: Trudy Jane, Scott Raymond and Lyndell Grace. 6-Trudy Jane Baldock was born on 24 Sep 1958. Trudy married Terrance Earnest Davey. Terrance was born on 12 Jul 1958. They had three children: Mathew Adam, Nathan Lee and Megan Anne. 7-Mathew Adam Davey was born on 18 Dec 1976. 7-Nathan Lee Davey was born on 9 Feb 1980. 7-Megan Anne Davey was born on 29 Mar 1982. 6-Scott Raymond Baldock was born on 3 Dec 1959. Scott married Roslyn Anne Coulson. Roslyn was born on 20 Sep 1960. They had two children: Natasha Lee and Timothy Scott. 7-Natasha Lee Baldock was born on 16 Mar 1979. 7-Timothy Scott Baldock was born on 24 Mar 1981. 6-Lyndell Grace Baldock was born on 26 Oct 1962. 4-Alice Geraldine Lee was born on 8 Jul 1908 in Ulverstone, Tasmania. Alice married Harry Clifton Shaw, son of Edwin Francis Shaw and Amy Rhoda Walker. Harry was born on 7 Jul 1906 in Sheffield and died on 4 Jun 1956 at age 49. They had five children: Geraldine Lois, Harold Desmond, Nanette Mary, Patricia Mary and John Edwin. 5-Geraldine Lois Shaw was born on 22 Sep 1933. Geraldine married Bruno Koch. Bruno was born on 8 Jan 1928. They had two children: Rolf Johnn and Mark Harry. 6-Rolf Johnn Koch was born on 6 Jun 1961. Rolf married Anita Teresa Sallese. Anita was born on 22 Jan 1964. 6-Mark Harry Koch was born on 17 Sep 1962. Mark married Janelle Sue Clancy. Janelle was born on 24 Jan 1963. 5-Harold Desmond Shaw was born on 27 Mar 1935. Harold married Beverley Rattray. Beverley was born about 1937. 5-Nanette Mary Shaw was born on 11 Sep 1936. Nanette married Wallace Roy O'Brien. Wallace was born on 6 Mar 1931. They had three children: Christine Maree, Carolyn Lynette and Dean Wallace. 6-Christine Maree O'Brien was born on 13 Nov 1956. 6-Carolyn Lynette O'Brien was born on 20 Feb 1958. 6-Dean Wallace O'Brien was born on 28 Sep 1959. 5-Patricia Mary Shaw was born on 23 May 1938. Patricia married Vivian Brian Young. Vivian was born on 26 Jan 1938. They had three children: Wendy Anne, Jan Patricia and Grant David. 6-Wendy Anne Young was born on 20 Sep 1958. Wendy married Robin Davidson. Robin was born on 1 Mar 1958. They had one son: Renee Louise. 7-Renee Louise Davidson was born on 6 Oct 1978. Wendy next married Glenn Tadman. Glenn was born on 14 May 1956. They had one son: Joshua Glen. 7-Joshua Glen Tadman was born on 23 Oct 1983. 6-Jan Patricia Young was born on 8 Dec 1962. 6-Grant David Young was born on 18 Oct 1964. 5-John Edwin Shaw was born on 4 Oct 1939. John married Shirley Margaret Anthony. Shirley was born on 2 Apr 1938. They had three children: Michael John, Stephen Clifton and Peter Christopher. 6-Michael John Shaw was born on 11 May 1959. 6-Stephen Clifton Shaw was born on 10 Nov 1961. 6-Peter Christopher Shaw was born on 19 Feb 1963. 4-Florence Mary Lee was born on 27 May 1912 in Ulverstone, Tasmania and died on 24 Nov 1975 at age 63. Florence married Brian James Wing, son of James Arthur W. Wing and Edith Madeline Tilyard. Brian was born on 22 May 1911 in Ulverstone, Tasmania and died on 12 May 1985 at age 73. They had four children: Barbara, Beverley, Jill Florence and Rodney. 5-Barbara Wing was born on 21 Mar 1937. Barbara married Laurie King. Laurie was born on 19 Feb 1934. They had six children: Tony, Peter, Noel, Zane, Narelle and Katrina. 6-Tony King was born on 8 Apr 1958. Tony married Karin Wood. Karin was born on 31 Oct 1959. They had two children: Jessica Aimee Judith and Jared Anthony John. 7-Jessica Aimee Judith King was born on 2 Jun 1983. 7-Jared Anthony John King was born on 20 Jan 1987. 6-Peter King was born on 15 Jun 1959. Peter married Merryn Ferguson. Merryn was born on 22 Dec 1959. They had two children: Michelle Renee and Jeremy James. 7-Michelle Renee King was born on 25 Sep 1985. 7-Jeremy James King was born on 17 Jun 1987. 6-Noel King was born on 4 Oct 1960. Noel married Janice Byrne. Janice was born on 9 Dec 1960. They had one son: Nathan. 7-Nathan King was born on 30 Oct 1982. 6-Zane King was born on 29 Nov 1962. Zane married Annette Duff. Annette was born on 11 Nov 1962. They had four children: Katherine Susan, Megan Elizabeth, Steven Laurence and David Anthony John. 7-Katherine Susan King was born on 1 Apr 1984 and died on 1 Apr 1984. 7-Megan Elizabeth King was born on 1 Apr 1985. 7-Steven Laurence King was born in 1986. 7-David Anthony John King was born on 8 Apr 1988. 6-Narelle King was born on 10 Mar 1966. 6-Katrina King was born on 25 Mar 1968. 5-Beverley Wing was born on 4 Nov 1938. Beverley married Athol Whitehouse. Athol was born on 18 Sep 1932. They had two children: Michael and Paul. 6-Michael Whitehouse was born on 1 Oct 1962. 6-Paul Whitehouse was born on 15 Dec 1968. 5-Jill Florence Wing was born on 2 Dec 1943. Jill married Don Graham Walker. Don was born on 5 May 1939. They had one son: David. 6-David Walker was born on 5 Nov 1967. 5-Rodney Wing was born on 19 May 1956. Rodney married Dianne Gibson. Dianne was born on 5 Jul 1958. They had two children: Stacey Florence and Adam. 6-Stacey Florence Wing was born on 21 Nov 1980. 6-Adam Wing was born on 21 Jun 1982. 4-Harold Kitchener Lee was born on 15 Nov 1916. He served in the Second World War. Harold married Jean Margaret Povey. Jean was born on 8 May 1926. They had one daughter: Carolyn Margaret. 5-Carolyn Margaret Lee was born on 27 Nov 1949. Carolyn married Ian John Johnson. Ian was born on 22 Jul 1956. They had two children: Nicholas Lee and Carly Margaret. 6-Nicholas Lee Johnson was born on 6 Dec 1977. 6-Carly Margaret Johnson was born on 9 Aug 1979. Harold next married Edith Dennis. Edith was born on 23 Nov 1937. They had eight children: Cheryle Edith, Debra Lynn, Kerry John, Denise Mary, Neradine Barbara, Nigel Harold, Gregory Christopher and Kevin Oliver. 5-Cheryle Edith Lee was born on 5 Mar 1955. Cheryle married Wayne Doyle. Wayne was born on 15 Oct 1953. They had two children: Brendan Wayne and Mathew Leigh. 6-Brendan Wayne Doyle was born on 14 Nov 1985. 6-Mathew Leigh Doyle was born on 10 Mar 1988 and died on 21 Mar 1988. 5-Debra Lynn Lee was born on 22 Jun 1957. Debra married Christopher Riseley. Christopher was born on 27 Nov 1953. They had two children: Jason and Damien. 6-Jason Riseley was born on 9 Jun 1978. 6-Damien Riseley was born on 19 May 1980. Debra next married Phillip Thompson. Phillip was born about 1955. 5-Kerry John Lee was born on 31 Aug 1958. 5-Denise Mary Lee was born on 3 Apr 1961 and died on 18 Apr 1961. 5-Neradine Barbara Lee was born on 15 Jun 1962. Neradine married Aaron Jeffrey. Aaron was born on 21 Apr 1962. They had one son: Ryan. 6-Ryan Jeffrey was born on 5 Aug 1986. 5-Nigel Harold Lee was born on 28 Oct 1963. 5-Gregory Christopher Lee was born on 23 Dec 1964. Gregory married Tammie Batchelor. Tammie was born on 20 Sep 1963. They had two children: Joshua and Cassandra Ellen Jane. 6-Joshua Lee was born on 9 Oct 1982. 6-Cassandra Ellen Jane Lee was born on 20 Jul 1987. 5-Kevin Oliver Lee was born on 20 Jul 1967. Harold next married Mavis Eastley. Mavis was born on 9 Sep 1925.